So much has changed within the last decade. Looking back at the new millennium, dorm essentials have come a long way. College students in the past once had to choose between comfort, style, and price. Nowadays, you no longer need to compromise, because you can have all three. Some of the greatest transformations have been centered on dorm bedding and college seating. 1) Egg Crate to Memory Foam- The new-age item 10 years ago was the egg crate mattress topper. While it minimized the discomfort of the flimsy college mattress, an enormous jump forward has been made with memory foam mattress toppers. 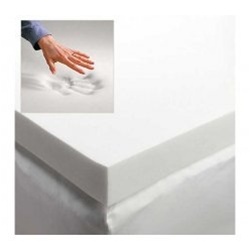 These Memory Foam pads are available in 1'', 2'', 3''. 4'' and 6", leaving you many options for a budgeting college student. Personally, I recommend you purchase the thickest topper that you can afford because quality sleep is something that you cannot afford to lose. Even after college, these quality memory foam pads can still be used, making these a worthwhile investment. 2)Bean Bags to Mini-Futons- Everyone must remember the bean bag. These things ruled society for quite a while. While they offer comfortable seating, these bags did not offer up a quality bed for friends. Mini futons are the new hot bedding/seating item. During the day, this stylish sofa can accommodate a party of friends, while at night offering a comfortable fold-out mattress. 3) Comforters (What's Available? Which Choice? 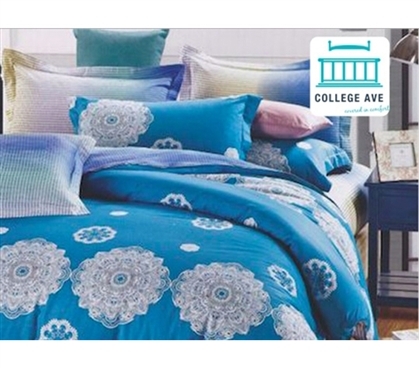 )- Back then, college comforters used to be a function-over-style kind of deal. What would have been stylish may not have been warm, comfortable or affordable for students. So Mattress Bedding was always a compromise. Now with DormCo and its College Ave lineup, no longer must you choose between style or comfort. Our lineup includes dozens of unique designs in order to offer you the best variety. One premium mattress comforter lineup we offer is the Plush Comforter in True Twin XL. These are warm and cozy DormCo exclusives that are the softest down comforter we offer.